Technologent is the Premier Edge-to-Edge IT Services company that delivers Agile solutions for accelerating digital transformation. We aim to be the Entertainment, Gaming and Hospitality vertical’s most trusted channel partner and advisor of innovation, while delivering the highest quality technology-based services in the most cost-effective manner. Technologent has the expertise required to assist its customers in responding to the ongoing disruption occurring within this rapidly growing sector. The customer is always first and we will work steadfast to exceed their expectations. 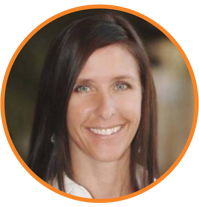 In 2014, it was the vision of Neysa Tonks to invest heavily in the Las Vegas market and focus on a go-to-market model around Entertainment, Gaming and Hospitality (EGH). After developing key partnerships with several Global Leaders in the EGH segment, Technologent decided to “double down” and create a vertically focused business unit, which targets best of breed solutions for customers in this industry. Our customers continue to respond positively to Technologent’s ability to address and solve problems specific to their business. Unfortunately, on October 1, 2017, Neysa was killed in a senseless act of violence with 57 other concert goers. Although she is gone, her vision continues to carry on and grows both domestically and internationally. Neysa never compromised her beliefs, and therefore the model we continue to build out is referred to as, "The Tonks Model.” Technologent is committed to providing technological solutions, improving operational performance and driving business to delight our customers every step of the way. Get Better Guidance. Produce Better Results. Get expert advice on gaming IT solutions from one of our experts. Digital Business Disruption, which is the use of digital technologies and business models to drive organizational change, is rapidly transforming established business models and breaking down barriers across the Entertainment, Gaming and Hospitality industry. The Technologent Architecture Method (TeAM) offers a fast, simple and practical method to create success in today’s world of business disruption. TeAM expedites delivery of real insights to help guide you with informed, outcome-based decisions as you embark on your transformational journey. Executable recommendations will provide balance between immediate impact and long-term, value-driven technology investment strategy. Digital Business Disruption will also require industry business rules, business processes and policies to shift from assumptions that delivered past success and reconsider how value is captured, created and delivered through technology investment. New business competencies will be required to ensure your organization becomes more agile, collaborative, innovative and focused upon guest experience. Business Capabilities represent the core of TeAM and provide the building blocks that consist of the People, Processes, Tools, Knowledge and Culture. TeAM is designed to ensure that your business avoids the problematic pitfalls of change including complex industry influences, increased and unpredictable competitive pressures, and the unstoppable and accelerating pace of technological advance. 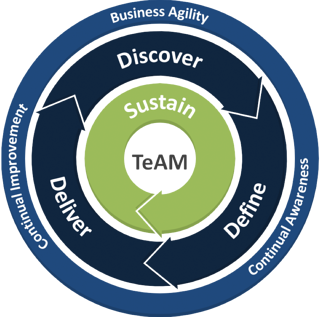 TeAM utilizes agile business modeling to underpin mutual and comprehensive understanding of your business priorities, challenges and desired business outcomes. Through TeAM, we build an Architecture Roadmap that improves your ability to recognize and react to current and future disruption. TeAM ensures optimal technology investments that provide sustainable value visible within your business. The TeAM Industry Framework represents a reference model of key influences and areas of digital impact within the Entertainment, Gaming and Hospitality industry. 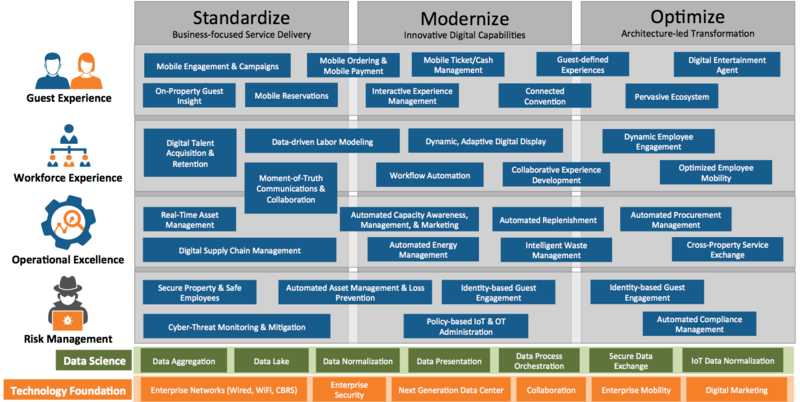 Utilizing a building block approach, the TeAM Industry Framework provides guidance for our customer engagements through analysis against digital maturity benchmarks. Currently, these areas include Guest Experience, Workforce Experience, Operational Excellence and Risk Management all supported by traditional IT Service Towers and Data Science. By utilizing TeAM within your business, services can be standardized, modernized and optimized to fit rigorous business delivery standards while still pushing the limits of transformative digital architectures. Our TeAM empowers members of the EGH industry with valuable insights for both immediate and long-term goals. Together, we help discover your unique business priorities, facilitate transformative outcomes and allow you to map your journey every step of the way for repeatable results. Through this fully managed End-to-End process, these organizations can all adapt to widely growing Digital Business Disruptions and even lead the charge in regards to innovation. Technologent continues to establish key partnerships within Entertainment, Gaming and Hospitality. 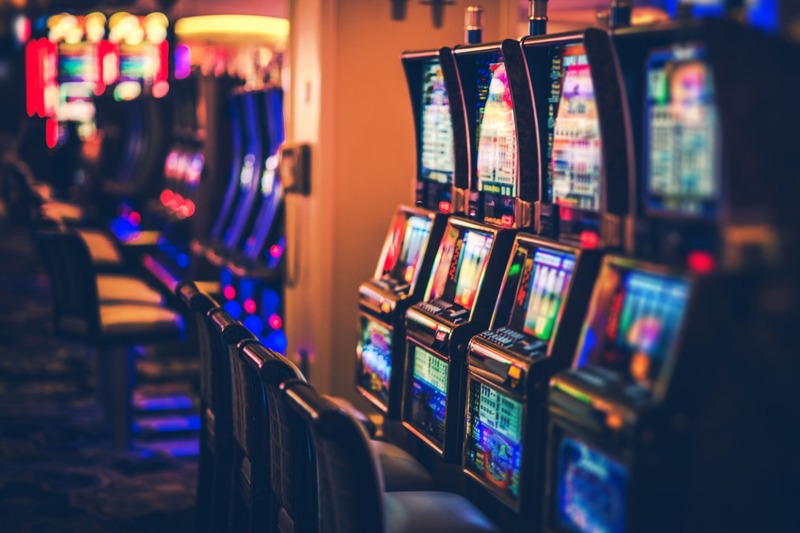 Notable partnerships include: Gaming & Leisure, TribalNet, the University of Nevada, Las Vegas and the William F. Harrah College of Hospitality. We hope your business can join us on this transformative journey as well. Are you ready to understand how to best respond to digital disruption in the Entertainment, Gaming, and Hospitality Industry?